If I had only one tip to give, it would be to be passionate about your topic and let that enthusiasm come out. Yes, you need great content. Yes, you need professional, well designed visuals. But it is all for naught if you do not have a deep, heartfelt belief in your topic. The biggest item that separates mediocre presenters from world class ones is the ability to connect with an audience in an honest and exciting way. Don’t hold back. Be confident. And let your passion for your topic come out for all to see. You’ve heard it before: First impressions are powerful. Believe it. The first 2-3 minutes of the presentation are the most important. The audience wants to like you and they will give you a few minutes at the beginning to engage them — don’t miss the opportunity. Most presenters fail here because they ramble on too long about superfluous background information or their personal/professional history, etc. Humans have short attention spans when it comes to passively sitting and listening to a speaker. Audience attention is greatest at the opening and then again when you say something like “In conclusion….” This is just the human condition, especially so for the busy (often tired) knowledge worker of today. So, if you have 30 minutes for your talk, finish in 25 minutes. It is better to have the audience wanting more (of you) than to feel that they have had more than enough. Professional entertainers know this very well. Get closer to your audience by moving away from or in front of the podium. The podium is a barrier between you and the audience, but the goal of our presentation is to connect with the audience. Removing physical barriers between you and the audience will help you build rapport and make a connection. To advance your slides and builds, use a small, handheld remote. A handheld remote will allow you to move away from the podium. This is an absolute must. Keyspan has two good ones. I highly recommend the Keyspan Presentation Remote. Many people like the Interlink remote as well. If you press the “B” key while your PowerPoint or Keynote slide is showing, the screen will go blank. This is useful if you need to digress or move off the topic presented on the slide. By having the slide blank, all the attention can now be placed back on you. When you are ready to move on, just press the “B” key again and the image reappears. Try looking at individuals rather than scanning the group. Since you are using a computer, you never need to look at the screen behind you — just glance down at the computer screen briefly. One sure way to lose an audience is to turn your back on them. And while you’re maintaining great eye contact, don’t forget to smile as well. Unless your topic is very grim, a smile can be a very powerful thing. If you are speaking in a meeting room or a classroom, the temptation is to turn the lights off so that the slides look better. But go for a compromise between a bright screen image and ambient room lighting. Turning the lights off — besides inducing sleep — puts all the focus on the screen. The audience should be looking at you more than the screen. Today’s projectors are bright enough to allow you to keep many of the lights on. 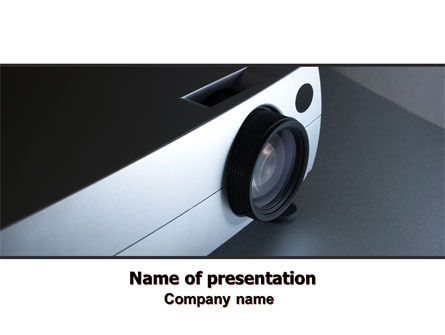 If you are presenting to a small group, then you can connect your computer to a large TV (via the s-video line-in). With a TV screen, you can keep all or most of the lights on. Make sure your text and graphics are large enough to be seen on the small the screen. You will probably have to increase the type size significantly. When audience members ask questions or give comments, you should be gracious and thank them for their input. Even if someone is being difficult, you must keep to the high ground and at all times be a gentleman or lady and courteously deal with such individuals. The true professional can always remain cool and in control. Remember, it is your reputation, so always remain gracious even with the most challenging of audiences. This entry was posted in presentation tips, uncategorized and tagged presentation, public speaking on May 27, 2014 by pptstar.